Kesatuan Express is an operator hailing from Ipoh with a strong presence in the Northern and Eastern part of Peninsular Malaysia. Among the many bus routes provided include daily trips from Kuala Lumpur to Cameron Highlands, Bukit Kayu Hitam and even Hat Yai. There are also bus trips from pickup points such as Penang Sentral, Melaka Sentral, Terminal One and more. 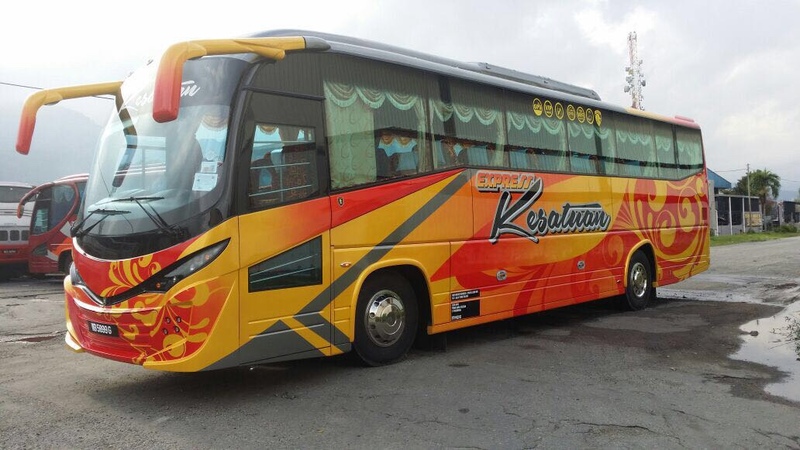 In efforts to stay ahead of their competitors, Kesatuan Express constantly replaces older coaches with new coaches frequently to provide a travelling experience with optimum comfort. Most of their buses are a single deck bus with 30 comfortable and clean seats. CatchThatBus offers online bus tickets to many routes covered by Kesatuan Express as well as seat availability features. You can book your bus ticket online from our website or via mobile app which can be downloaded for free on Google Play or App Store.